As I wrote in my blog regarding the five key trends in packaging for 2016, there is growing popularity around what is called genuine packaging. We are seeing packaging with an eye to authenticity, using techniques such as hand-written fonts or illustrated images to gain significant traction. This crafted approach is becoming a more believable way to convey quality and gain consumer trust. But first, let’s discuss the reasons behind this design trend. There is a prevailing belief that consumers don’t trust big food manufacturers like they used to. These food companies are scrambling to regain that trust. Brand managers are working to reinvent their brands, literally, by changing the brands and items consumers have grown to love, and hate. Reformulation is a daily topic for many manufacturers and their marketers as consumers demand that food have less sugar, no additives, lower sodium, be made with more natural ingredients and NOT be made with anything that is considered artificial. Consumers are tired of genetically modified food and added chemicals, and they now, more than ever, look for food that is sustainably grown or raised. If the big brands aren’t making significant changes to their iconic brands, they are finding other ways to win over consumers, including purchasing smaller companies and brands. According to the Boston Consulting Group and IRI, roughly $18 billion in sales have shifted from large to small companies from 2009 to 2014. This change was seen across all categories for consumer packaged goods. We’ve seen it with Annie’s and General Mills and Bear Naked and Kellogg’s. While these purchases have resulted in some backlash, if the larger companies can integrate the smaller brands without changing their original premise of being more natural, they will retain their loyal consumers. 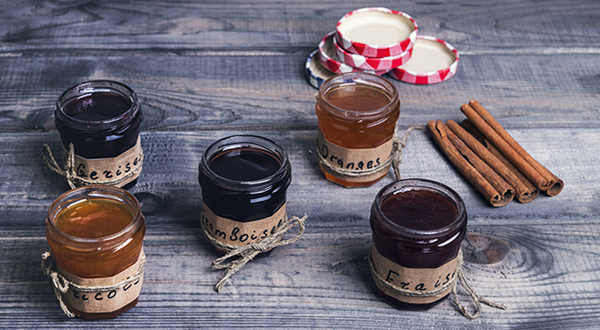 Consumers want clues that the items they are buying and eating or using are made with real, authentic ingredients. So, how do you do that? One great way is through the packaging. But that leads to a second question: “What does that LOOK like?” Authenticity can come in a variety of visual representations, and here are a few we have seen for some small and sizable brands. 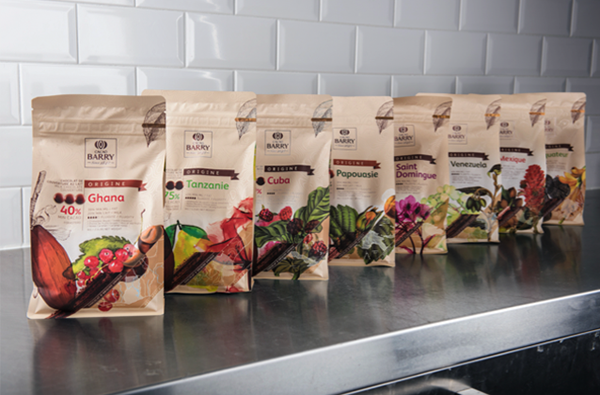 Cacao Barry currently sells its high-quality chocolate to restaurants and bakeries. The company prides itself on its unique flavors and product transparency. To best represent the quality mindset, they worked to develop packaging that features detailed botanical paintings and etched illustrations as well as straightforward graphics and typography. By using colorful illustrations and simple copy against a neutral background, the overall design helps consumers quickly identify the flavors and the products’ taste. They take the package hierarchy a step further and provide information on the cacao genetics and origins of the flavorings (e.g. cacao variety, map of origin country, etc.). The pride they have in their packaging is further supported on their website. 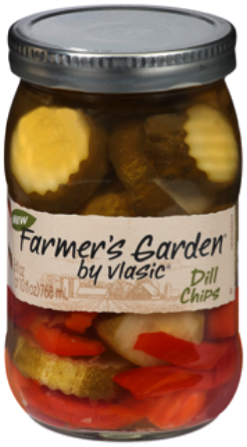 While not new (introduced in July 2012), Vlasic introduced its Farmer’s Garden collection of pickles to appeal to consumers looking for a more naturally made pickle. Vlasic touts its Farmer’s Garden line is hand-packed and offers “homemade goodness.” The pickles are packaged in mason jars and are made with classic canning techniques, just like homemade. The ingredients are easily visible, allowing consumers to believe in the freshness and homemade quality of the product. The label completes the package with handwritten typography and a sketch of a vegetable farm. The label has a neutral color palette and rough edge, suggesting a more natural substrate and dyes; further supporting its rustic and homemade approach to pickles. Vlasic supports these items with its own microsite where consumers can read and learn more about this return to roots product line. The ability for a company to earn a consumer’s trust and build a relationship is paramount to success for that company. While there are many different ways of doing this, the packaging can be viewed as the moment of truth when the consumer makes a final decision about that relationship. If they pick up your product and put it in their cart, you know you’ve created a bond. We can help you create that bond between you and your audience. Learn more about our consumer packaging expertise.